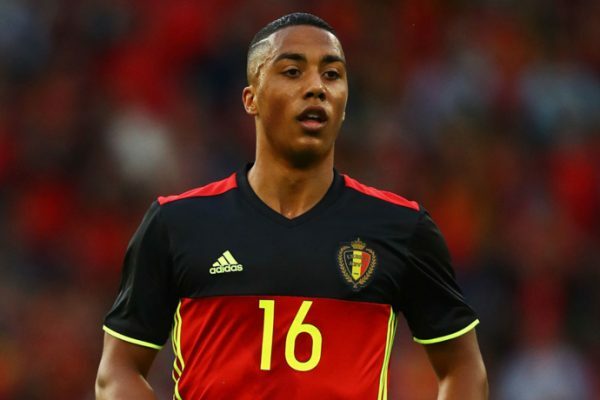 Arsenal are reportedly interested in landing Belgium international and Ligue 1 side AS Monaco youngster Youri Tielemans, according to Sport Mediaset. The Premier League club have been connected with a move for the Les Monegasques midfielder. The 21-year-old ace, who has 15 international caps for his country, has netted two goals in nine appearances in all competitions for the Ligue 1 outfit so far this season. Youri, who only joined AS Monaco from the Belgian side Anderlecht back in May 2017 following his reported €25 million (£22 million) transfer, has netted three times in 44 matches overall for the club. However, the report states AS Monaco could look to offload the Belgian central midfielder next year, during the upcoming January or summer transfer window, in spite of starting all of this campaign’s league games under coach Leonardo Jardim. Tielemans, who started both of his country’s victories against England at the 2018 FIFA World Cup this summer, is contracted at AS Monaco until June of 2022. Youri struggled to nail down a starting spot at the Stade Louis II the previous term, starting 18 league games for AS Monaco, failing to find the back of the net.